To mark the 150th anniversary of the London Underground, the BFI is re-releasing Anthony Asquith's superb silent thriller Underground in selected cinemas this month. Asquith's film was restored in 2009 and has now been given a witty new score by composer and accompanist Neil Brand, recorded live at the Barbican in October 2011 with the BBC Symphony Orchestra. Underground concerns itself with the sort of "ordinary workaday people whose names are just Nell, Bill, Kate and Bert" that are thrown together everyday in the democratic space represented by the capital's subterranean public transport system. The Bert in question is a really rather volatile electrical engineer who works at the Lots Road Power Station in Chelsea (played by the expressive Cyril McLaglen), who falls in love with fellow commuter Nell (Elissa Landi), a shop girl at Selfridges, Oxford Street, after spotting her one morning on the Bakerloo line. Nell, however, only has eyes for Bill (Brian Aherne), a thoroughly decent porter and ticket collector, who finds himself the focus of Bert's murderous jealousy once his overtures to Nell are spurned. Asquith was the son of Liberal Prime Minister Herbert Asquith but became a committed socialist embarrassed by his aristocratic background, choosing a career in cinema and donning a boiler suit on set at a time when film was considered an utterly disreputable vocation. The young blue blood continued to direct until the mid-1960s, turning out a highly credible body of work that included such highlights as Pygmalion (1938), The Browning Version (1951) and The Importance Of Being Earnest (1952), but remained perennially unfashionable with critics. This only changed at all when the BFI restored his final silent film, A Cottage On Dartmoor (1929), in 2002, although he's still hardly a household name. It's a frightful shame that the poor fellow should be so neglected as he demonstrates considerable technical invention and skill in Underground, betraying a wide array of influences and almost out-Hitchcocking Hitchcock. The rooftop chase and brawl at the power station in particular recalls the Master of Suspense while an earlier fight in a pub, observed by a terminally unimpressed barmaid, is brought to life by a string of clever tricks, culminating in Bill throwing a punch directly to camera. An old lady passing by in the street outside who stops to put up her brolly as stray billiard balls come smashing through the window reveals the consummate ease with which Asquith could switch tone between violent action and comedy. Crowd scenes on escalators meanwhile bring to mind the frantic hive activity that Dziga Vertov made a speciality of capturing while the aftermath of Bert's electrocuting Kate (Norah Baring), the seamstress and fellow boarding house tenant he should have married, is shot in high German expressionist style. Elsewhere, the film packs in bags of native charm, notably in the dreamy picnic scene between Bill and Nell and the comedy of social observation that takes place aboard the Tube in the film's documentary-like opening. Passengers peer over one another's Evening Standards, look affronted when they aren't sufficiently thanked for giving up their seats and grimace in mock-disbelief when two gassing friends chat either side of them. Nothing changes. 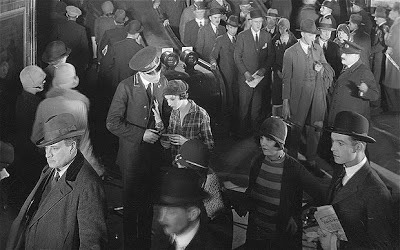 Silent London has a magnificent scoop on the film, incidentally, some gorgeous on set pictures taken while Asquith's cast and crew were shooting scenes at Piccadilly Circus, courtesy of the London Transport Museum. For an alternative tribute to the Tube, meanwhile, this one is pretty hard to beat. Another brilliant but otherwise unrelated cinematic event to check out if you're in London this week is the Hollywood Costume exhibition at the Victoria and Albert Museum in South Kensington, which is entering its final few days. I battled through heaps of snow, fashion students and gay men this evening to see such extraordinary icons of film history as Chaplin's Little Tramp outfit, The Dude's brown towel bathrobe and John Wayne's red bib-front shirt from The Searchers (1956). The exhibition showcases clothing sported by over 100 film characters and includes two velvet gowns worn by Vivian Leigh in Gone With The Wind (1939), Judy Garland's gingham pinafore from The Wizard Of Oz (1939), two Marilyn Monroe knock-outs, including the famous subway grate dress from The Seven Year Itch (1955), a selection of memorable get-ups from the respective wardrobes of Robert De Niro and Meryl Streep, Kim Novak and Tippi Hedren ensembles from Vertigo (1958) and The Birds (1963) and the costumes of any number of heroes and villains from recent blockbusters. Perhaps the most immediately striking items in the collection are the gothic pieces, notably those from Addams Family Values (1993), Tim Burton's Sweeney Todd (2007) and Bram's Stoker's Dracula (1992), with Gary Oldman's sprawling scarlet robe featuring intricate gold dragon embroidery arguably the finest thing on display. Well worth checking out before it closes on January 27th. Soviet director Grigori Kozintsev, known for his adaptations of Hamlet (1964) and King Lear (1971), followed in the footsteps of G.W. 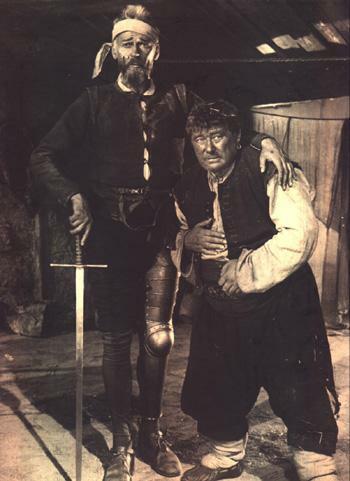 Pabst and Rafael Gil in completing a film* of Miguel de Cervantes' legendary comic novel of the early 17th century, succeeding where the likes of Orson Welles and Terry Gilliam famously failed. Starring the great Russian actor Nikolai Cherkasov, who had played both Ivan the Terrible and Alexander Nevksy for Sergei Eisenstein, with Yuri Tolubeyev as his loyal but unfailingly cowardly squire Sancho Panza, Kozintsev's film captures Cervantes' mock-heroic tone to a tee, just as Gustave Doré's exquisite series of engravings did in the 1860s. The story, as if it needed recounting, tells of an aging Spanish nobleman who reads one too many chivalric romances and becomes so enraptured by their tales of heroic deeds and daring-do that he straps on some old kitchenware and a barber's basin for armour and sets out on his bony nag Rocinante to become a knight errant. Roaming the burnt hillsides of rural La Mancha with his plump peasant sidekick in tow, the Knight of the Rueful Countenance searches for wrongs to right and damsels in distress to rescue from the clutches of evil sorcerers, much to the amusement of all he encounters. Kozintsev's was the first filmed version of Don Quixote to be shot in colour and CinemaScope and its palette does look a touch murky at times in the recent re-release from Mr Bongo while its widescreen vistas, which frequently silhouette the pair against the baking sun to great effect, might be best served on the big screen. However, these quibbles do nothing to detract from a wonderful achievement in which the arid deserts of the Crimea seamlessly stand in for central Spain. Screenwriter Yevgeni Shvarts cherrypicks many of the most celebrated episodes from Cervantes' two-volume tome, with our hero confusing a laundress for a countess, prostitutes for high-born maidens, flocks of sheep for armies and wine sacks for smirking gargoyles. The iconic moment in which Cherkasov's boggled hidalgo tilts at the windmill, mistaking its rotating blades for the swinging fists of his imagined magician nemesis Friston, doesn't disappoint, making the most of the actor's game but rangy physicality. Among the supporting cast, Tamila Agamirova is especially memorable as an amused and lively Lady Altisidora. A fitting tribute to Cervantes then, deftly capturing the wit and wisdom of a writer several centuries ahead of his time. *A more recently completed Quixote is Albert Serra's "defiantly experimental" Honour Of The Knights (2006), which strips the tale of all comic incident and its madcap spirit to simply spend time with the two wanderers on their vague quest, occasionally chatting, bathing in a brook or dozing in a field. A naturalistic recreation of their journey, a dreamscape or an attempt to reinterpret the story in relation to later 20th century artists like Samuel Beckett or Pier Paolo Pasonlini? Either way, nothing whatsoever happens, quite literally, during its near two hour running time. The BFI Southbank's latest season, Screwball!, covers the madcap Hollywood comedies of the 1930s, those "irrepressibly gag-greased explorations of America’s great divides", so I took the opportunity to go along and take in one of the less well-known examples of the subgenre, William A. Wellman's Nothing Sacred. An incredibly prophetic and acidic media satire shot in Technicolor, the film stars Fredric March as Wally Cook, a hack with the New York Morning Star recently demoted to the obituary column following a scandal, who seizes upon the story of Hazel Flagg (Carole Lombard), a Vermont woman diagnosed (incorrectly) with radium poisoning by a quack local doctor (Charles Winninger), as his ticket back to the top. Flagg knows she's not really sick but plays along as Cook's unscrupulous editor ("a cross between a Ferris wheel and a werewolf" played by Walter Connolly and hilariously named Oliver Stone) flies her to the Big Apple to shamelessly exploit her terminal condition and sell newspapers, winning the hearts of all and sundry before the inconvenient truth begins to get in the way of a good story. There's some nice chemistry between the leads, notable in the really rather shocking scene in which Cook goads Hazel into a fist fight in order to raise her heart rate and help her work up a sweat to convince a team of European physicians that she's in a state of high fever. Both March and Lombard handle parts skilfully that could have been repellent in the wrong hands. The incident in which Lombard drinks herself unconscious with embarrassment at being asked to join a gaudy night club act showcasing the greatest women in history is especially pleasing, with Catherine the Great, Lady Godiva and Pocahontas among those appearing scantily clad on horseback for an audience of braying punters. Wellman meanwhile martials a first-rate supporting cast headed by the amusingly exasperated Connolly and also featuring Sig Ruman, Margaret Hamilton and Hattie McDaniel in tiny roles plus John Qualen as a kindly Swedish fireman ("Yumpin' Yimminy!"). 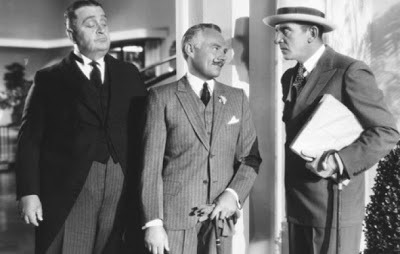 The script was written by Ben Hecht, author of both The Front Page (1934) and His Girl Friday (1940), for David O. Selznick after the latter's financier, John Hay "Jock" Whitney, took a shine to My Man Godfrey (1936) and became convinced that comedy was the future. Hecht based his screenplay on a James H. Street story that had recently appeared in Cosmopolitan, but his first two drafts, "written on trains between New York and Los Angeles" over a two week period, were deemed far too cynical for public consumption and Selznick was forced to bring in a number of script doctors to make adjustments, including Dorothy Parker, Ring Lardner Jr, Budd Schulberg, Robert Carson and George S. Kaufman. It's hard to better the conclusions of critic Ed Sikov, who wrote in his 1989 book on screwball comedy that, "There's a deeper biliousness to Nothing Sacred, a belly-clenching sense of amused disgust... For Hecht, all newspapermen are invidious liars. Star reporters crank out stories simply to make a buck, and publishers print them simply to make millions. And because Nothing Sacred is set in New York, the level of fearless self-interest is even higher than usual. This is a world oversaturated by false claims, cheap scoops, and fraud". In my experience (I qualified as a journalist myself three years ago), Hecht is pretty much on the money. What struck me most watching Nothing Sacred was the amazing parallel between the Hazel Flagg case and that of the late Jade Goody, a British Big Brother contestant routinely ridiculed for her pig ignorance and casual racism by the tabloids before being swiftly rebranded as a tragic dying swan when she was suddenly diagnosed with cervical cancer. The very same jobbing writers who had once cruelly dissected her every silly utterance and fashion blunder competed fiercely with one another to be the most gushing in praising this poor, talentless fool. Her death in 2009, aged just 27, was met with a veritable flood of crocodile tears. Last night I happened to watch this bold Sinclair Lewis adaptation, an attack on religious revivalism and the hucksterism that goes with it, only to learn this morning that one of its supporting players, 1950s country music star Patti Page, had died at the age of 85. A sad and strange coincidence. In truth, Page's role here, her first in a limited screen career, is a relatively minor one, although she's entirely convincing as wholesome gospel singer Sister Rachael. R.I.P. Patti. 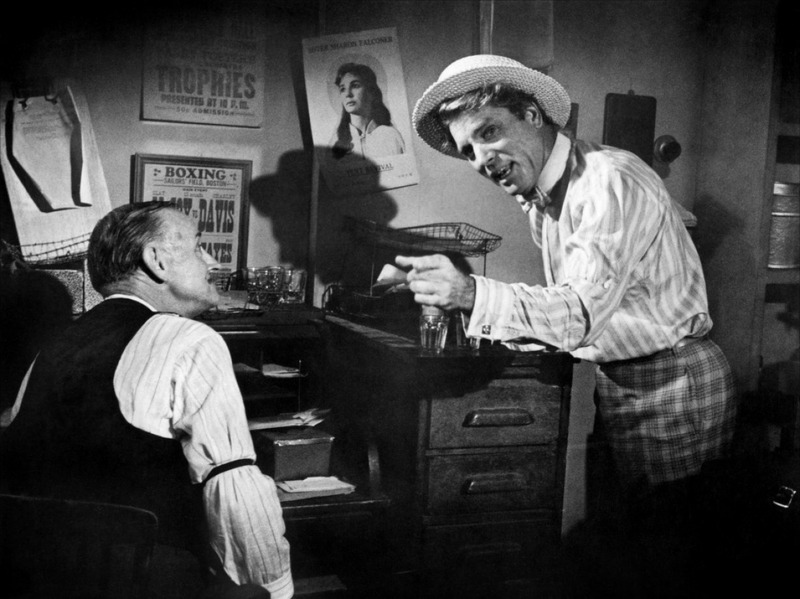 Richard Brooks' film is centred around another powerful performance from Burt Lancaster as the eponymous Gantry, a charismatic but decidedly desperate travelling salesman reduced to riding box cars and hawking vacuum cleaners while everyone else is enjoying the Roaring Twenties. Gantry eventually takes up with a tent show and reinvents himself as a hellfire evangelist in the Billy Sunday mould, hectoring rural audiences into hysterical repentance for their sins and bullying them into church attendance, much to the amusement of the show's star, Sister Sharon Falconer (Jean Simmons), and the consternation of her business manager, Bill Morgan (Dean Jagger). 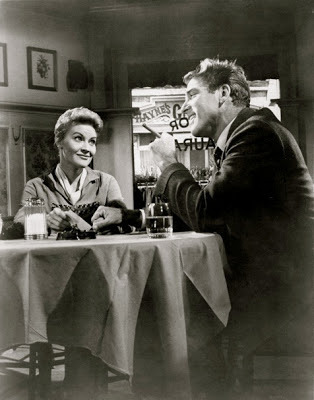 Embracing hypocrisy as breezily as he forsakes lonely women and whisky, Gantry begins to lust after the saintly icon and realises the considerable commercial possibilities of taking old time religion to wealthy Big City audiences. 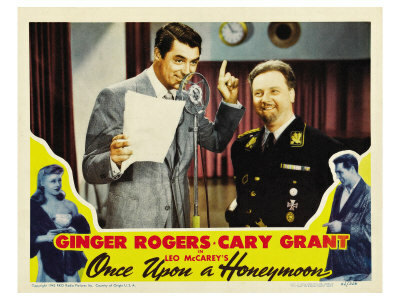 However, news of Gantry's growing fame reaches the ears of disgraced deacon's daughter-turned-prostitute Lulu Bains (Shirley Jones), who swiftly arranges to blackmail the cad who first led her away from the light, just after he's embarked upon a heavily-publicised moral crusade against speakeasies and cat houses. Wolves donning sheep's clothing to prey on the rural poor is a common theme in American cinema, from Robert Mitchum's psychotic ex-con reverend Harry Powell in The Night Of The Hunter (1955) to Ryan O'Neal as crooked Bible pedlar Moses Pray in Paper Moon (1973). Lancaster brings a touch of Jerry Lee Lewis to their ranks as Gantry, wild-eyed, irrepressible and dangerously manipulative, a man who would be equally happy setting fire to a piano as mocking the Darwinists with a hired chimp or speaking in tongues if it means a heavier collection plate. It's a complex performance, however, with Lancaster well worth his Oscar for making us pity this sleazy charlatan when he is pelted with eggs by the angry townsfolk and left standing alone and disgraced with a 'God Is Love' banner lying tattered at his feet. Gantry's moment of candid confession to Sister Sharon, in which he admits plainly that his former career was not quite as illustrious as he's led her to believe, is perhaps his most disarming trick of all. 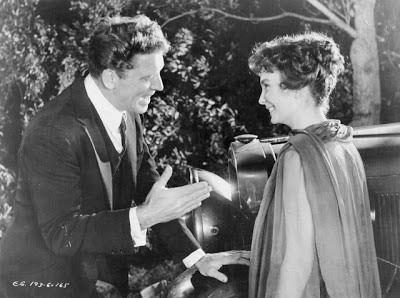 Simmons meanwhile is as pure and sincere here as she was playing the Salvation Army girl who wins Sky Masterson's heart in 1955's Guys & Dolls, deftly allowing Falconer's own unseemly ambition and cynicism to bob to the surface on occasion, while there's sound support from Arthur Kennedy as the film's voice of confirmed atheism, Zenith Times-Dispatch journalist Jim Lefferts, sent to cover the Sister Sharon road show and ultimately exposing Gantry, despite liking him personally*. Well acted and involving then but it's astonishing to hear that Brooks's Elmer Gantry accounts for just 100 pages of Lewis's 1927 novel, given that the film is almost as long as a modest Biblical epic. If it were to be made now, it's easy to see the project as a good fit for Paul Thomas Anderson. Indeed, Brooks's take would actually make a great double bill with The Master (2012). Happy New Year! Here's a doozy of a Christmas present to start 2013 off on the right foot, a superlative pre-Code Paramount comedy from Ernst Lubitsch, the tale of gentleman thief Gaston Monescu (Herbert Marshall) and pickpocket Lily (Miriam Hopkins) who join forces to defraud Parisian perfume heiress Madame Colet (Kay Francis) of her fortune, only for Gaston to fall in love with their prey after taking a job as her personal secretary. In a piece loosely adapted from Hungarian Aladár László's little-remembered 1931 play The Honest Finder, the leads are all charming in their very different ways, with Marshall unrelentingly formal as the professional fraud (his character inspired by the memoirs of real-life confidence trickster Georges Manolescu). The famously difficult Hopkins, a Southern Belle turned Broadway starlet, is especially lively as a woman openly aroused by larceny, spitting out her lines with relish ("This is all that's real: money, cash!"). There's also a trio of very fine supporting performances to cherish, with the ever-reliable Charlie Ruggles and Edward Everett Horton priceless as feuding rival suitors after Madame Colet's scented hand and Robert Grieg betraying a wealth of experience as a huffing butler. Jean Renoir, no less, told Peter Bogdanovich that Lubitsch "invented modern Hollywood" when he arrived from Germany in 1922, dragging the medium out of the D.W. Griffith-dictated grammar of the silent era and helping give voice to the talkies. "He brought European sophistication, candour in sexuality and an oblique style that made audiences complicit with the characters and situations", Bogdanovich adds, defining what became known as the "Lubitsch Touch". 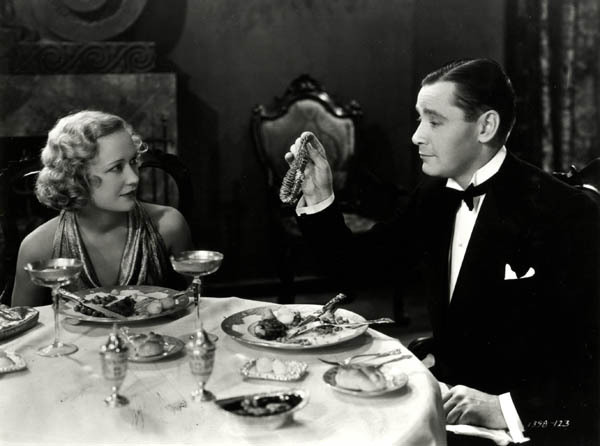 Trouble In Paradise, co-written by playwright Samson Raphaelson, author of The Jazz Singer (1924) and Lubitsch's regular collaborator, is a supremely elegant, cosmopolitan affair whose smart quips, wry playing and art deco sets look forward to everything from Fred and Ginger to Duck Soup (1933). Its aristocratic trappings recall the films of Max Ophüls while it has even been proposed as the first screwball comedy, predating Frank Capra's It Happened One Night by two years. 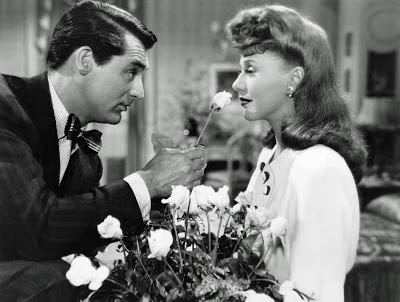 While it would be a mistake to embark on Trouble In Paradise expecting the sort of zany farce typified by Bringing Up Baby (1938) or the exhausting, tongue-twisting dialogue of His Girl Friday (1940), the template is certainly there. However, it's also a subtle little gem in its own right that undoubtedly rewards repeated viewings. From its opening in the darkened canals of Venice to the barracking of Madame Colet for her decadence by a hairy Communist to the twin shadows of lovers kissing cast on a duvet, Trouble In Paradise is a jewellery box overrunning with fine things. Recently spruced up for a very welcome Masters of Cinema DVD outing, having not been available to see anywhere between its release and 1968, Trouble In Paradise is presented with an accompanying essay by Raphaelson first published in The New Yorker in 1981 when he was 87, entitled, 'Freundschaft: How It Was With Lubitsch And Me'. 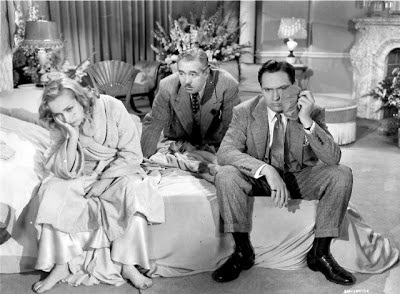 In it, the writer describes the stilted, often downright stiff working relationship between himself and Lubitsch, a man he calls "cinema incarnate", as the two puffed on pipes and Upmann cigars and clacked out scripts for films like The Shop Around The Corner (1940) and Heaven Can Wait (1943) from the Berliner's rented Bel Air apartment. It's a story of muted mutual appreciation, glib professionalism and miscommunication, each party wrongly believing that the other had no more than a polite interest in their respective talents. "I felt that one of us had failed the other. Maybe the original fault was mine. How did he take my obvious lack of interest in movies?" Raphaelson wonders. A fascinating read, not least for the writer's revelation of this celebrated director's curiously myopic and dismissive attitude towards his own craft: "A movie - any movie, good or bad - ends up in a tin can in a warehouse; in ten years it's dust... You're smart that you stick with the theatre, Sam. What college teaches movies?"